Replacing your Conservatory Roof in Cramlington by Stormshield. Your conservatory is generally a pleasure to make use of and have that additional space in your house that opens up your home into your garden. Nevertheless, a tired looking roof structure, or even worse a damaged or leaking roof structure, can ruin the appearance of the conservatory. You may even find that based on weather conditions your conservatory is frequently too hot or too cold to enjoy as there is no insulation. An upgraded conservatory roof is often the answer. Converting your conservatory roofing to a light-weight tiled roof greatly improves the look of your conservatory and as it is so well insulated it regulates the temperature inside, meaning you can use it, in comfort, all year round. If you would like to Replace your Conservatory Roof in Cramlington or the surrounding areas then give us a call on 01670 710050 and one of our team will be happy to help. We consider ourselves to be the market leaders in the manufacture of tile lightweight conservatory roofs. We have researched a number of roof solutions over the years and analysed those that would work best for our customers. We have chosen the Guardian Warm Roof System simply because it is the most reliable roofing systems in the market currently. We have a team of committed staff to ensure every installation is performed in the most professional way with the best craftsmanship. If you decide you want to replace your conservatory roof we are able to remove and replace it in just a couple of days. We have over 21 years of experience in conservatory roof replacements and tiled conservatory roofs. To learn more about updating your conservatory roof structure in Cramlington, give us a call on 01670 710050. You can rest assured that the quality service you receive from Stormshield is second to none, our installers have been certified by LABC, which means all of them comply with the terms and regulations for local buildings. We help you find the solutions to any roofing problems that you have by using our knowledge and understanding of roofing issues we have experienced over the years. Our team of expert professionals are on time, considerate and keep you in mind when undertaking any stage of your project. 4. You will receive a 10-year guarantee. The complete fitting process takes about 3 days. The process includes removing your already existing polycarbonate roof structure and upgrading it with a lightweight tiled conservatory roof structure which is fully insulated keeping the temperature cool in the summer and warm in the winter. When this is completed, you get a tiled roof structure on the outside as well as a plastered vault ceiling on the inside. Have a look at this different designs inside and out on our website. Our team are ready and willing to provide you assistance and advice on the roofing system that will work best for your needs. A completely new tiled conservatory roof will be ideal as a replacement for your existing roof covering. We strive to deliver all our customers with something they will be happy with for decades. 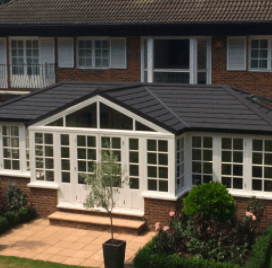 Keep in mind that our tiled conservatory roofing system is really the only one of its kind that is in keeping with United Kingdom’s building regulations. We are proud of being trustworthy and always supplying what our customers expect from us. There is a large number of styles you can choose from. For each and every roofing layout, there are particular advantages. Every service we provide is conveniently priced and incorporates a no cost no obligation quotation. 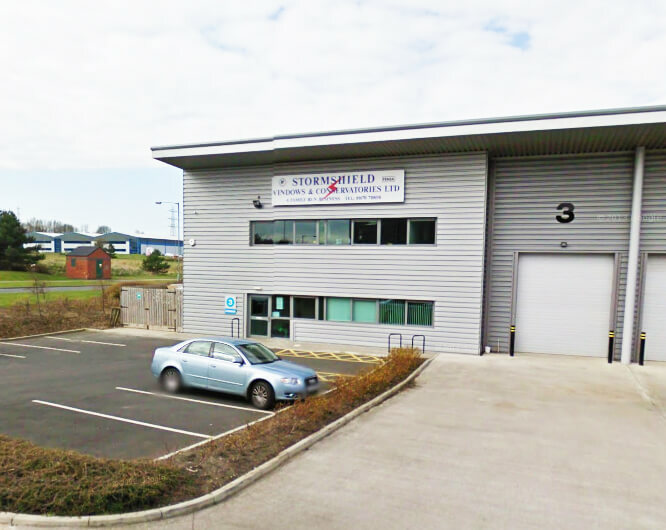 You will find our products and services in Cramlington and the North East the best in the area. This is perhaps the most popular and traditional roofing design around. When complete it looks amazing. The style will ensure that you thoroughly improve your extra space or room, regardless of the weather. This type of roofing style works with most house styles as it’s extremely versatile. This style is sought after by many people simply because it can be configured easily to fit in any conservatory roof style and design. It is good for kitchen area extensions. Additionally, it maximises the area at the rear of your house and enhances the attraction of your space. The ends come in 1 or 2 slopes. It has excellent modern styling with more alternatives on the positioning of the doorways and has a 3 aspect roofing design. This style and designs are practical if you lack room in your garden. The interior plaster finish finishes the appearance and gives your roof a sublime look. One of many popular features of this style and design will be the continuous elevation it can bring to space. This design is wonderful for roof replacement or the building of brand new ones. It comes with a prolonged ridge in the middle that will enable you to make good use of your ceiling windows. This style and design are designed for bungalows. It can be used for the conversion of your old conservatory that you may already have. The design and style are highly recommended as it is really adaptable and can be used in several ways. No matter the shape and footprint of your conservatory we can style, design and install a bespoke replacement conservatory roof to complement the shape of the present conservatory. All of the roofing tiles we use are made from Zincalume protected steel. This fundamentally means that you get a high quality and sturdy roof covering. We’ll also take consideration any of your ideas to ensure you get exactly what you desire. We are able to proudly say that we have established a superb relationship with all of our previous customers and have many excellent reviews which you can see on our website. Our main priority is to ensure that you do not spend too much money on your roofing system and at the same time see to it that you will get the most out of it. At Stormshield, we provide you with a 10-year guarantee for each and every installation of a lightweight Guardian Warm conservatory roof. If you want to know more about our expert services give us a call on 01670 710050 or go to our website where we have loads of information and pictures of the work we have done. Go to, ‘How much does a Guardian roof cost?‘ and we will be in contact with you. If you decide you would like to progress replacing your roof further then we can arrange for one of our team to come out to your home and discuss the options available to you. From here, one of our surveyors will visit to measure up for ordering. After submitting your 5-day building notice to the Local Local Authority Or Council for Building Regulations, the manufacturing of your roof will commence on the factory floor. The last step is to watch as we fit your modern and new conservatory roof, safe in the knowledge that you are in safe hands with us, the Stormshield team. We are a family run business with over 21 years experience and we pride ourselves on the professional and friendly service we give every customer. Whether you’re looking for a conservatory roof replacement, windows, doors or require complete home interior renovations, we can help. At Stormshield we offer a personal service which is tailored made to your needs. If you are looking to Replace your Conservatory Roof in Cramlington or for more information on installing an upgraded conservatory give us a call us on 01670 710050.